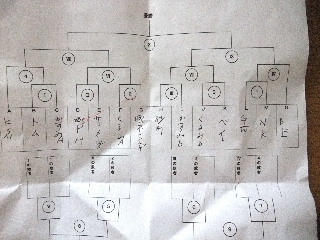 This is Kawashima. 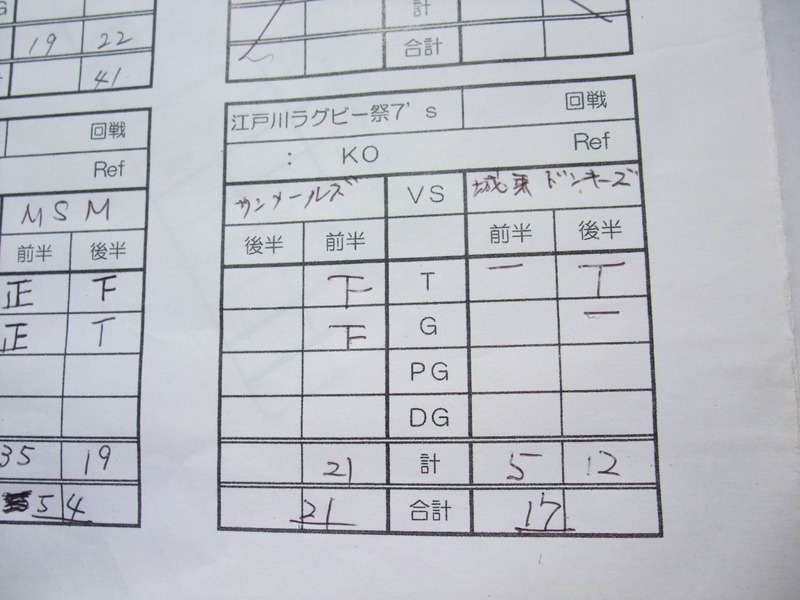 Will report about the game due to the pass from Goro-Morii. 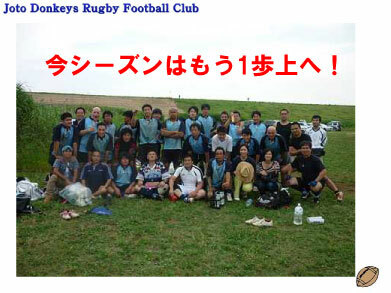 At the beginning of the game, J-Nakajima-san rushed at ruck-side and succeeded to break the defense. 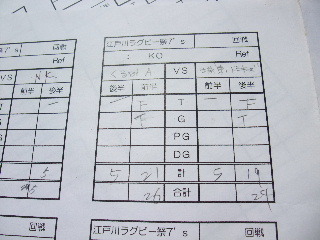 At a scrummage play, it seemed to be effective that CTB Sugaya-san run vertically against their goal line. Then we succeeded to gain on the goal line due to their some penalty plays, however couldn't get a score due to our lack of finish patterns. 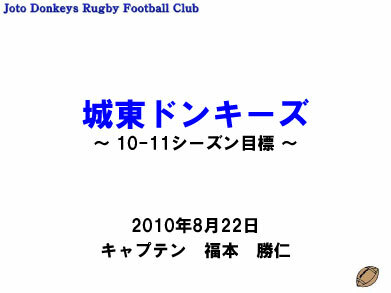 Though we endured their attack, we lost some scores after we lost a try once. 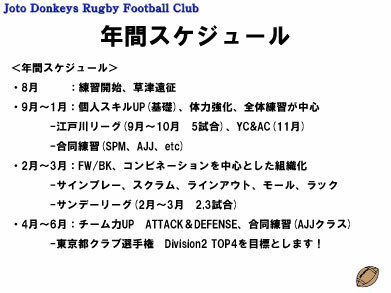 Superman's scrumhalf touched Atsushi's hip at the scrummege. The same as the first half, we lost some scores by their counter attack despite we often approached their goal by our continuous attack. 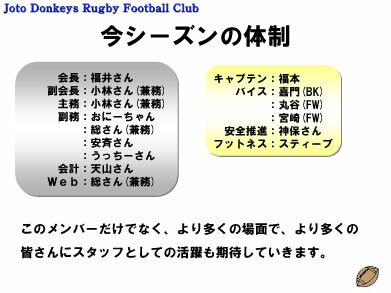 The scrumhalf also aimed Kawashima's AH. Our FW players could get many balls at the maul and ruck, compared to the match with Kasumiso. Getting some rucks continuously and rushed by FW players etc, we saw some good attacks which would be our pattern to get a score. I'll touch the hip of an opponent next game. Some people pointed that Kawashima was usually angry at the match, it's intentional for me to encourage the team and myself. 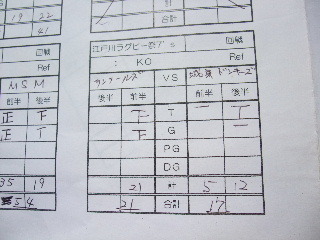 Will got "ecstasy" by the win of matches , with aggressive mind , play hard but calmly. Game report: Edogawa kasumiso on October the third. appointed me to write the match report. 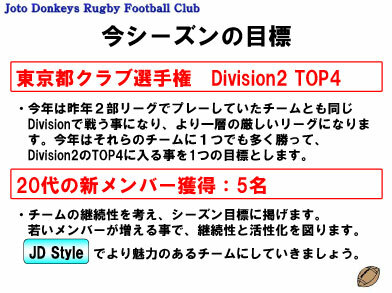 Please check the Japanese version. 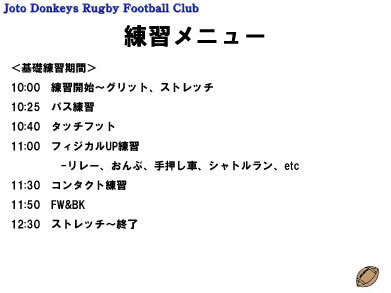 I listed the players there in English. ball at mauls and rucks. played. The score was 0-31.
told us that we had to defend correctly. It was really embarrassing for us. 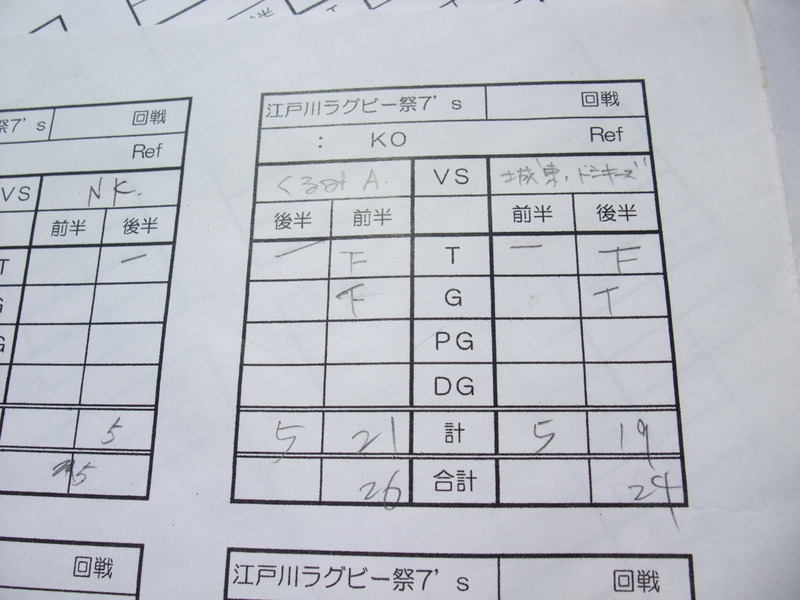 The score in the second half was 0-31. The final score was 62-0 to Kasumiso. Why did we lose the game? Do we have any weaknesses? players were in a bad mood after the game, not happy like we usually are. enjoyment- the ecstasy of winning, not the agony of defeat. whole, our team is too gentle at the games. in the second half. We should do our jobs throughout the entire game. case, if they are feeling dizzy and forgetful at work. Finally, we'll enjoy the game next time!